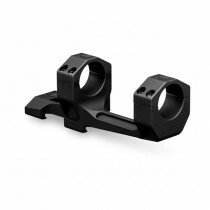 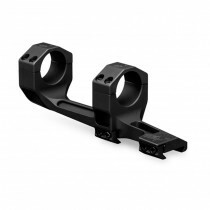 This cantilever mount is designed for mounting scopes with a 30mm diameter tube. The offset of this cantilever mount positions the scope in a forward location, providing correct eye relief and head placement with a 20 MOA cant. This mount positions the center of the riflescope tube at a height of 1.574 inches (40 mm) from the top surface of the Picatinny base.